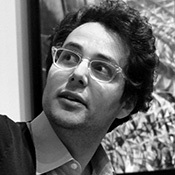 Raffaele Bedarida holds a PhD from the Art History Department of the CUNY Graduate Center, New York as well as MA and BA degrees in Art History from the Università degli Studi di Siena, Italy. He is an art historian and curator specializing in art, politics, and cultural diplomacy between Europe and America. His publications have focused on Italian Modernism from Futurism to Arte Povera in the international context. Since 2008, when he founded and curated the residency program Harlem Studio Fellowship in New York, he has actively promoted programs of international exchange for emerging artists. In addition to his academic and curatorial activities, Bedarida has regularly lectured on modern and contemporary art topics at the Solomon R. Guggenheim Museum and MoMA. After three years as an adjunct, Bedarida joined Cooper Union full-time faculty in September 2016. Corrado Cagli. La pittura, l’esilio, l’America (1938-1947), monograph (Rome: Donzelli Editore, 2018). “Transatlantic Arte Povera,” in Sharon Hecker and Marin Sullivan, eds., Postwar Italian Art History Today: Untying ‘The Knot’ (New York: Bloomsbury Academic, 2018), pp. 194-213. “Towards an International Redefinition of Italian Futurism: Kiesler’s collaborations with Prampolini and Depero,” in Frederick Kiesler: Face to Face with the Avant-garde, P. Bogner and G. Zillner eds., (Vienna: Birkhauser, 2018), pp. 173-195. Co-editor with Heather Ewing and Steven Heller, Fortunato Depero, Depero Futurista. A Facsimile Edition and A Reader’s Guide, two volumes (New York and Trento: Designers & Books and MART, 2017). “Catherine Viviano, Irene Brin e la Conquista di Hollywood,” in Francesco Tedeschi, ed., La Riscoperta dell’America (Milan: Electa Mondadori, 2017), 117-126. “Post Zang Tumb Tuum: Art Life Politics Italia 1918-1943,” review of the exhibition at the Fondazione Prada in Milan, Artforum, New York (in press. Expected: Sept. 2018). “Katarine Kuh, Norman Lewis and the Italian Reception of Abstract Expressionism,” In Focus, peer-reviewed e-journal of the Tate, London (in press. Expected: Dec. 2018).